Reasonable prices, delicious food and decent service are top features of Lucky Bandra Restaurant, which makes a great value for money. After winning the hearts of people and opening several outlets in India the owners of this bistro decided to open their very first outside branch in Dubai, where their top chef cooks various Indian dishes, including vegetable varieties. 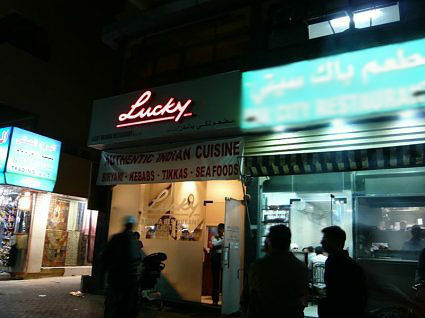 The delightful taste and aroma of spices made Lucky Bandra Restaurant a hit in Dubai as well and today its biryani, tikkas, seafood and kebabs are quite popular among the locals and foreigners, who are also often found at this venue. People in Dubai can find this restaurant in the area of Bur Dubai, where it is located on Al Fahidi Street opposite Dubai Museum. Though, the location of this venue is not central, but its locality in thickly populated because of which Lucky Bandra Restaurant has a decent base of customers. The Indian and vegetarian food dished up at Lucky Bandra Restaurant is reasonable in terms of price and great in taste and quality as well. Here you will find Indian varieties like mutton cutlets, hare bhare kebab, butter chicken, mutton karhai, Butter naan from the hot oven and much more. Aside from meat and poultry items they also serve seafood, which also has a decent demand. People in Dubai can relish its food with their families, as it is a family friendly restaurant. The restaurant has simple, but neat and clean settings so that guests would feel any hindrance, while hanging out at this spot. The opening hours of this restaurant between Saturday and Thursday are from 11:30 am to 4:00 pm for lunch and 7:00 pm to 11:30 pm for dinner. On Fridays dinner timings stays the same, but lunch is dished up from 1:00 pm till 4:00 pm. Al Fahidi Street, Bur Dubai - Dubai - United Arab Emirates. Al Fahidi Metro Station 2 is 600 meters far from Lucky Bandra Restaurant. By walk you can cover this distance in roughly 8 minutes. If you head out in the northeast direction on Al Mankhool Road/D 90 towards 41st Street, from this metro station and then make a left turn. Afterwards turn right, then make a left turn, before making a final turn on the right side that will lead you to the destination. Faheidi Roundabout 2 bus station is 350 metres away from the Lucky Bandra Restaurant, which makes it a 5 minutes walking journey. Bus number C7 has its stop here. 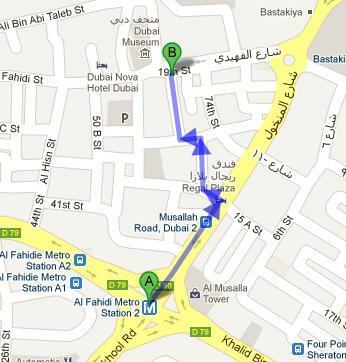 If a bus passenger heads in the southwest direction on Al Mankhool Road/D 90 and then turn right, before making the final turn on the right side that will guide him or her straight to the destination. Follow the map.